My family was big on road trips. We lived in Michigan, but had family in central Ohio and Florida. 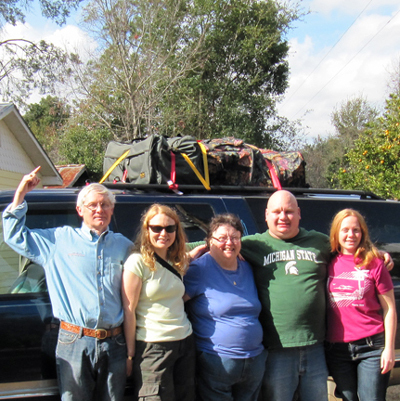 We were a family of five living on one General Motors salary; we never flew. You’d think I’d have spent plenty of time in reliable interstate dives like IHOP, Denny’s, Cracker Barrel, and Perkins, but up until a few years ago, I’d never been to any of them. 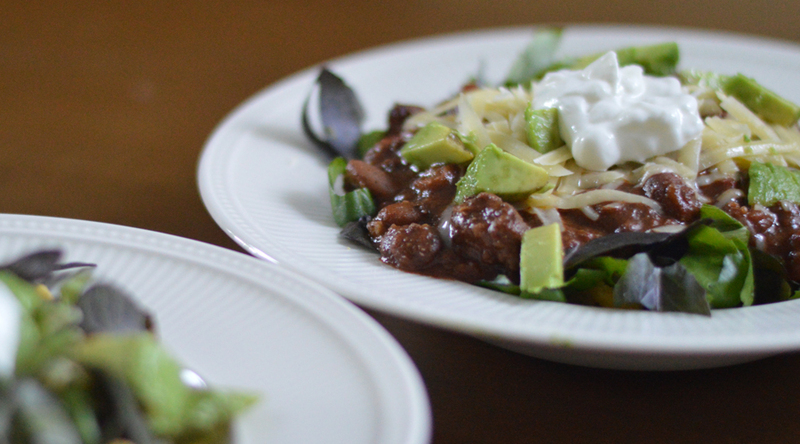 You’ll never find Venison Chili in places like that. My mom outlawed those places, claiming they served “fake food.” I’m sure every family has their own set of road trip rules. Mom’s No Fake Food mandate didn’t bother me because I never burned with desire to eat at those places. What did grind my gears was when she refused to let us stop at “real food” places we loved just because she wasn’t crazy about what they served there. Case in point: Cincinnati-style Chili. It’s not Venison Chili (I’m getting to that), but Cincinnati-style means a pile of spaghetti noodles, pintos, cinnamon-spiked beef chili, shredded cheese, and white onions. How could anyone object to that? We all loved it, Dad included, but had to beg Mom to let us stop. When Matthew and I first made chili together, I told him of my love for Cincinnati-style. He in turn, told me of his love for Petro’s, a regional chili chain introduced in his hometown, Knoxville, for the 1982 World’s Fair. Surprisingly I’d never heard of it, despite how many times the family passed through there on our way to and from Florida. Matthew’s memory of Petro’s was as follows: corn chips, chili, shredded cheese, shredded lettuce, sour cream. Turns out his memory wasn’t 100% accurate, but I liked the idea of incorporating some greens and he liked the idea of corn chips, so we made a mash-up of our favorites that continues to be the go-to, even for our venison chili. There are as many ways to make chili as there are to live life. I wish we’d had a bottle of New Glarus to deglaze the pot, but in lieu of that, we opted for New Belgium’s Skinny Dip. I think it was Cook’s Illustrated that determined a light-tasting beer is best for chili, despite the overwhelming urge to use something heavy or dark. 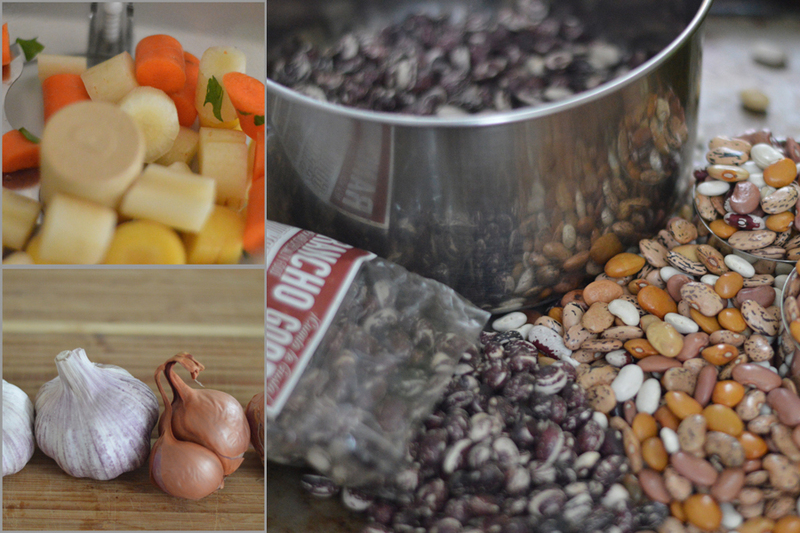 I normally use whatever beans I have on hand, either canned or dried I’ve pre-cooked. This time I used a combination of some mixed beans I bought at a market in Oaxaca earlier this year and some Rancho Gordo “Good Mother Stallard” beans. I soaked them for 24 hours, changing the water frequently, then sautéed a bit of carrot, onion, celery and bay leaf and simmered until just done (it didn’t take long after a 24 hr soak). Heat bacon drippings or olive oil in large Dutch oven over medium-high heat. 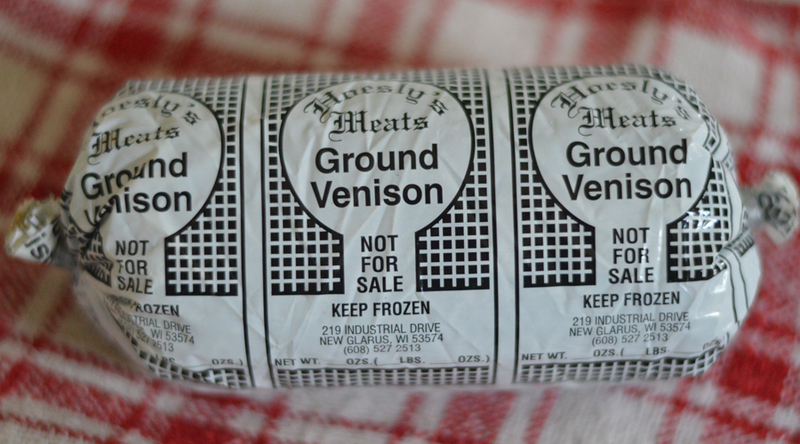 Break ground venison/beef into small chunks. Dust meat lightly with flour, and season lightly with salt and pepper. Shake off excess flour, and cook about half the meat over medium-high heat until brown and crusty on all sides. Add remaining meat and repeat. Reduce heat to medium; add onion, shallots, and any carrots, fresh peppers, or other vegetables you might be using, and cook, stirring occasionally, until vegetables are softened, 7 to 9 minutes, scraping the browned bits from the pan and adding some of the beer to keep things moist. Add garlic, chili powder, cocoa, and remaining spices, and cook until fragrant, about 2 minutes. Add any remaining beer, tomatoes, tomato paste; chiles in adobo, Worcestershire sauce, beans, masa, and stir until thoroughly combined. Bring to a boil then reduce heat to simmer. Cover pot and simmer 1/2 hour. Check chili for consistency; add broth or tomato juice if you like a soupier chili. Cover and continue simmering another 1/2 hour. Let chili stand, uncovered, for 10 minutes. Stir well and season to taste with salt. To serve Petro’s-style: Layer into each bowl (as desired) a few corn chips, a serving of chili, shredded cheddar, a handful of shredded lettuce, sour cream, scallions, avocado, cilantro, and a squeeze of lime.